How to install Joomla Module, and use it in sidebar or footer or inside page? 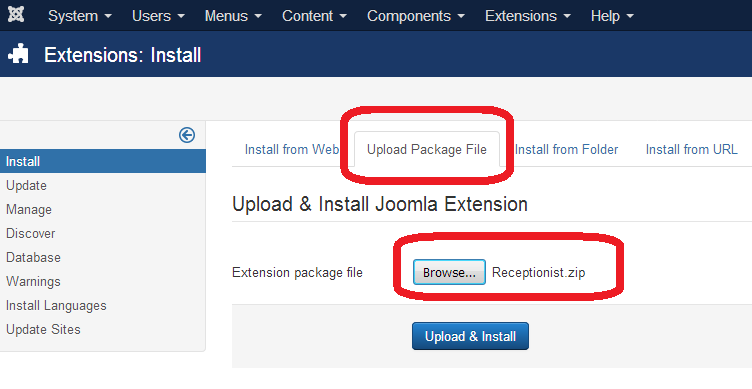 This article will show you the way to install Joomla Module, and use it in sidebar or footer or inside page. 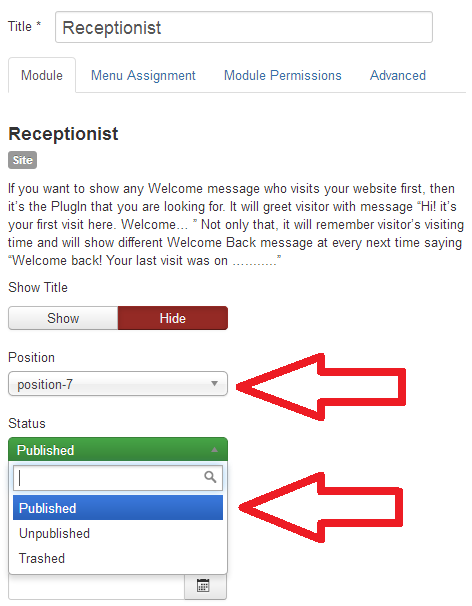 For example, you want to install a Joomla Module "Receptionist"
Step 1. Open your Dashboard, click "Install Extensions"
Step 2. Select the downloaded package, now click on "Upload & Install"
Step 3. Go to Top Menu "Extensions", then Go to "Modules". 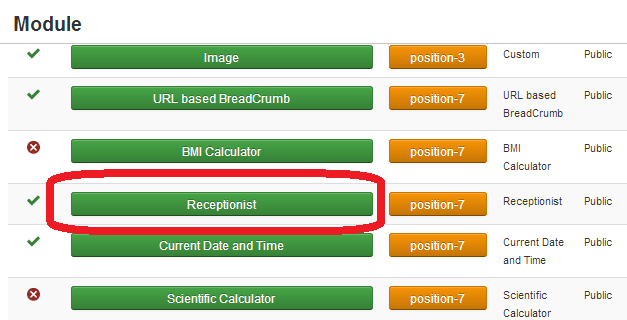 Find "Receptionist", and enable it by clicking inside red-box. Step 4. 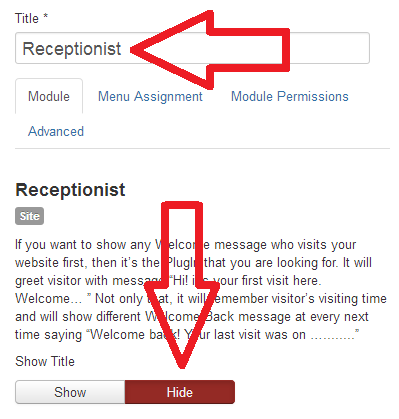 Click on the Module name “Receptionist” to enter it's Settings Page. Select position means where you want to show it; may be sidebar, footer, any other place. But unfortunately, this part is completely related on Template. 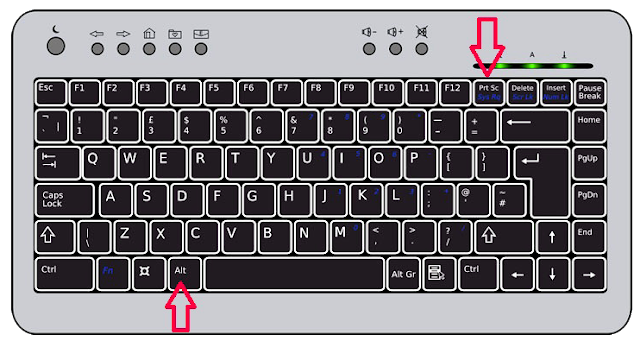 There is no common location name, In this template, “position 7” means right sidebar. Step 7. Do you want to remove the Module Heading or change the text? Step 8. 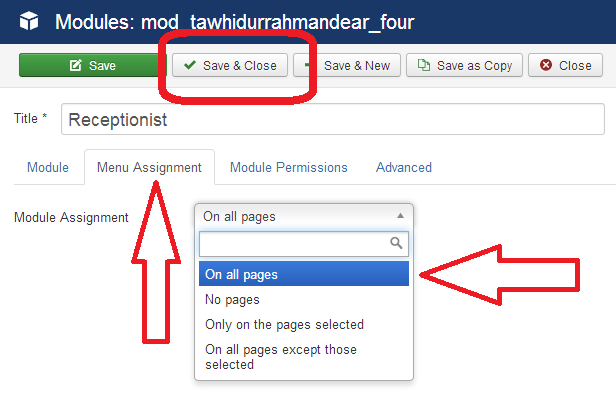 Open Module settings, select hide, or change text from above box. Step 9. 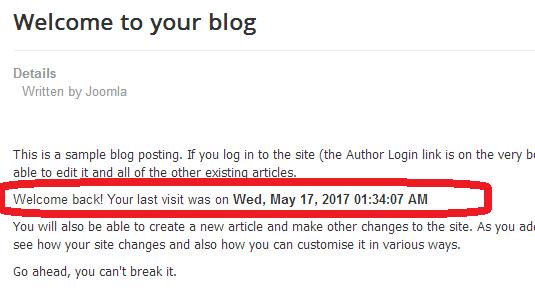 Do you want show the module inside page? Ensure that these extensions are enabled. Also ensure that you followed instruction at "Step 5"
Step 12. See the module code inside text. You can cut and paste that code anywhere inside your page. Congratulations! 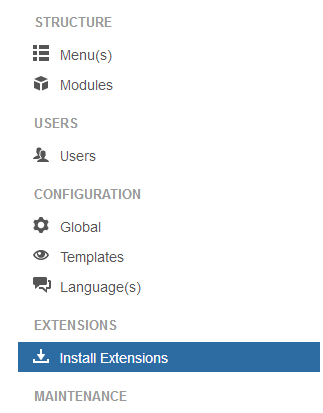 Now you know the way to install and use Joomla Module ! !